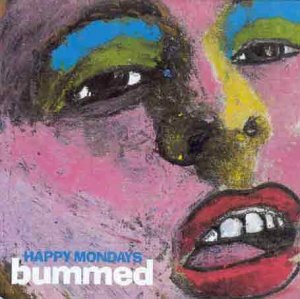 Happy Mondays first essayed their fusion of dance-club beats, hip-hop, funk, and rock & roll on Bummed. A considerable improvement from the unfocused Squirrel and G-Man, Bummed is slightly inconsistent, but the group's sound is beginning to gel. In particular, Shaun Ryder's incoherent bluster of non sequiturs, surreal imagery, and verbal threats is coming into its own, and it adds a sense of menace to dark grooves like "Lazy Itis," "Mad Cyril," and "Wrote for Luck." The latter was remixed by Vince Clarke after the album's release, and the new version, which was included on later pressings, was the hardest dance tune Happy Mondays had yet attempted, suggesting the direction they would follow on their next album.